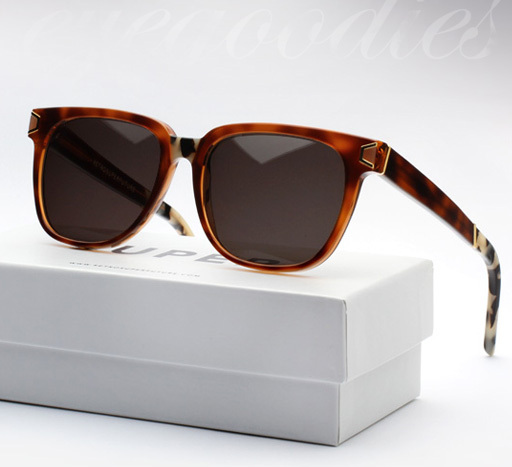 The Limited Edition SUPER Vincenzo sunglasses are now in stock. Supply Limited. Part of Super’s special projects, meant to signify their top range models which are produced in extra limited quantity, Super releases the Vincenzo. The Vincenzo restyles Super’s People model with several very cool touches and is truly representative of the “RETROSUPERFUTURE” namesake. Classic havana acetate is paired with monotone tortoise (Puma) acetate on both the bridge and temple. The gold plaques at the front and on the arms nicely catch the light to subtly shine against the havana. The Vincenzo strikes a great balance between a timeless simplicity and a modern freshness. Supply is limited, so get them while you can. The Vincenzo features Super’s signature white box which has always distinguished their special projects. 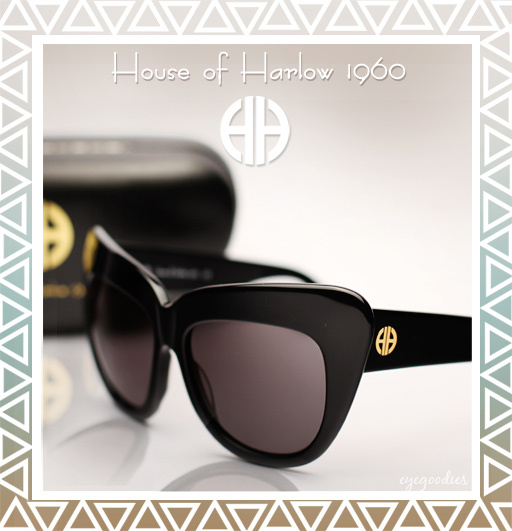 Eyegoodies is proud to welcome House of Harlow 1960 sunglasses to the site. Effortlessly transform yourself with the bohemian chic stylings of House of Harlow 1960. In 2009, fashionista Nicole Richie joined forces with legendary jeweler Pascal Mouawad to launch an inspiring and stunning line of accessories: HOUSE OF HARLOW 1960. Named after Nicole’s daughter, the brand inspired by the 1960’s and 70’s seamlessly combines many style elements. From flower child to tribal to street-chic, House of Harlow captivates as it playfully explores the avenues of vintage glamour. Since its inception the brand has lived up to its buzz and received praise by both the style conscious individual, as well as the fashion insider, in magazines such as Vogue, Elle and Harper’s Bazaar. The latest collaboration from Thierry Lasry is now available. Supply Limited. 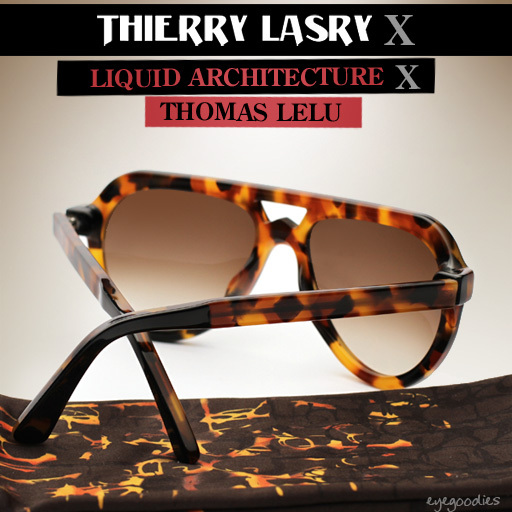 Two years after the success of their first collaboration, Thiery Lasry once again teams up with French music band Liquid Architecture and French artist Thomas Lelu, to design a serious limited edition frame, entitled the “Liquid 2″. These aren’t your fathers aviators. The new Liquid 2 from Thierry Lasry is a substantial plastic aviator with a unique “W” bridge and is offered in three fresh trims: black, white, and red. The trim is not only on the temple tips but also surrounding the hinge, which makes for quite a nice touch. It comes complete with a special edition drawstring carrying pouch (designed by Thomas Lelu) in the same color as the frame trim.